Dr. Mangal trained at the Fiji School of Medicine and did his internship at the War Memorial Hospital in the Fiji Islands and was in community medical practice before immigrating to Canada. Dr. Mangal completed residency training at both Shaughnessy Hospital and Vancouver General Hospital at the University of British Columbia. After receiving his fellowship in Hematology, Dr. Mangal joined the staff at Vancouver General Hospital. Throughout his 35-year career, Dr. Mangal has held a number of roles with esteemed organizations including UBC Health Science Centre Hospital, Canadian Blood Services BC & Yukon Division, Vancouver General and BC Biomedical Laboratories/CJ Coady Associates, Surrey Memorial Hospital, Life Banks Cryogenic Corporation and MDS Metro. Dr Mangal has held UBC Faculty appointment with the Department of Pathology and Laboratory Medicine since 1982. In 2008 he was honoured with the Quarter Century UBC Award for his 25 years of teaching with the Faculty of Medicine. 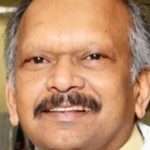 In addition to being local and national speaker, Dr Mangal has been a visiting guest lecturer at the University of Fiji, Umanand Prasad School of Medicine and International Faculty member at the Fourth International CME in Hematology and Transfusion Medicine, Dayanand Medical College, Ludhiana, India. Dr. Mangal has authored 10 peer reviewed publications and numerous abstracts/ papers. Noble MA, Chan V, Mangal AK, Carter CJ, Freeman HJ. Candida esophagitis in a homosexual male with defective neutrophil function – A pseudo AIDS syndrome. Gastroenterology. 1987; 1(i):33-35. Mangal AK, Sinclair M. Development of ‘auto anti-A1 antibodies’ following alloimmunization in an A2 recipient. Br J Haematol. 1984 Aug;57(4):714-6. Mangal AK, Logan D, Sinclair M, Stillwell G. Protection against hemolysis in ABO mismatched renal transplantation. Transfusion. 1984 Jul-Aug;24(4):363-4. Mangal AK, Growe GH, Sinclair M, Stillwell GF, Reeve CE, Naiman SC. Acquired hemolytic anemia due to “auto”-anti-A or “auto”-anti-B induced by group O homograft in renal transplant recipients. Transfusion. 1984 May-Jun;24(3):201-5. Mangal AK, Grossman L, Vickars L. Disseminated intravascular coagulation in acute monoblastic leukemia: response to heparin therapy. Can Med Assoc J. 1984 Mar 15;130(6):731-3.